An estimated 60 percent (10.7 million) of puppies and dogs in this country suffer from separation anxiety. Only they often don’t suffer in silence. They suffer in seas of whining, torrents of barking, marathons of pacing, and near-endless bouts of canine irritable bowel (and bladder) syndrome. Anxious puppies and dogs have broken up marriages, ended friendships, and terminated lease agreements. Yet this condition – according to vets at least – is oh-so-treatable. What is going wrong? What can we do to fix it….or better still, prevent it? It is not as daunting of a task as it might sound like. this article is the one for you. boy had a pretty rough first year. We have a puppy that just recently celebrated his first birthday. He has had a rough time of it over the past few months as he has dealt with a medical condition that has required long periods of forced confinement. Not surprisingly, he has become more anxious rather than less during these experiences. Not only is he very young to be coping with multiple surgeries and strong medications, but he is still a puppy to boot. His brain, his bowels, his immune system – nothing is grown-up inside him, and least of all his emotions. Puppies, like people, regularly experience stress, anxiety and fear, and never more so than in the presence of sudden change. Stress is a response of an organism to a demand placed upon it to change or adapt. 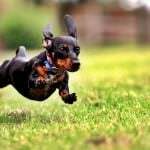 the causes of separation anxiety in puppies? There are two kinds of stress that your puppy feels. There is “good” stress and “bad” stress. The type of stress we are talking about is essentially felt the same by you and your dog. It can cause diseases in both people and dogs and you are definitely on the right track and starting to deal with it. Even in a fully mature person’s brain and body, chronic stress is a cold and intentional killer. In people, stress has been linked to ALL the worst killers of our age – heart disease, cancer, lung disease, accidents, liver disease and suicide. Dogs get up in the morning and eat the breakfast we feed them. Then they go outside and do their business, which we clean up for them. Then they run around or nap or bark or play while we slave away at boring jobs we mostly hate to keep a roof over their precious furry heads. Then they eat the dinner we prepare for them, catch the ball we throw for them and curl up on our soft blanket (or their soft dog bed) for yet another long stretch of restful sleep. Doesn’t sound too bad, does it? The trouble here is, dog brains mature to about the stage of the average 2½ year-old-child. Then they stop. So a dog’s stress is felt the way a toddler stuck in the grips of the “terrible twos” would feel it – for their whole life. And stress never gets less stressful, especially when you are always two. with you as their caretaker. for signs of stress in your dog. There are no “small” and “big” emergencies. There is only the endless, ongoing battle to survive whatever the next stressful something is using what little control (i.e. barking, killing furniture, escaping your dog crate yet again) you may have. Fear and anxiety will shorten your dog’s lifespan. That sounds awfully negative, so I should reiterate that this is something you can deal with and you are definitely ahead of most other dog owners by trying to deal with it now. It’s HARD being a puppy. of work for a little guy. At around 8 or 10 months old, human children typically enter a period of what pediatricians regard as “normal” separation anxiety. The condition can last for several months as the child’s developing brain grapples with the sudden reality that the parent or caregiver is real when she is here and also when she is not here. This can result in displays of separation anxiety whenever the caregiver departs. The condition usually resolves between 14 and 24 months, when the desire for exploration and independence (and discovery of the powerful word “no!”) give the child greater craving for freedom from the caregiver. Most puppies begin to exhibit a normal developmental form of separation anxiety between 8 and 12 weeks, which is also when many breeders prefer to release puppies to their new human owners. 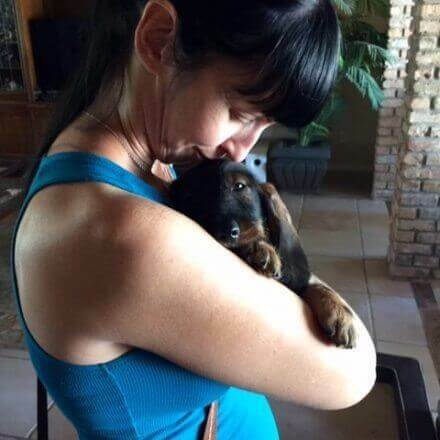 Because puppies tend to be developmentally more fearful during these 4 weeks, it is viewed as a great time to forge a fast, strong bond between puppy and owner. This may be true, but it can also be quite tough on the puppy! After all, before this time, the young puppy has never been alone. Then all of a sudden, everything changes, literally overnight. 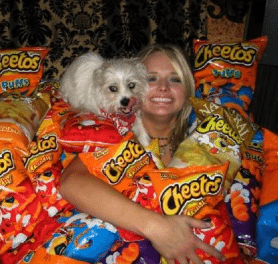 No more dog mama. No more siblings. No more familiar surroundings. Whether or not this stress resolves successfully or devolves into a more serious form of separation anxiety will often be up to you. Here is where crate training your puppy can be an invaluable tool to teach all kinds of lessons your puppy wants and needs to learn, from potty training to mastery of household rules and routines. 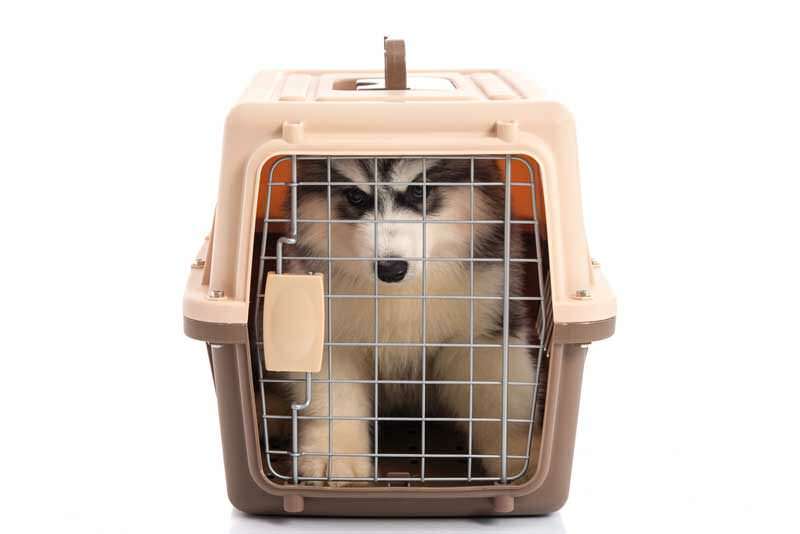 But most importantly, introduction of the right dog crate at the right time and in the right way can fulfill a deep primal need left over from your domestic puppy’s wild wolf cub days – the need for a small, safe den to call his own. right crate for a puppy with separation anxiety. You want to choose a crate that will give your new puppy the best chance of feeling the most safety and security. Like we talk about in our dog crate’s guide, you also don’t want to spend a fortune on a crate he is only likely to fit into for the first several months of his life. Be 2 to 6 inches higher, wider and longer than your puppy at full height, width and length. If your puppy can stand up to full height, turn around in a full circle and lay stretched out to full length with a bit of room to spare for each, the crate is the right size. Is made of safe, non-toxic, durable materials. Puppy teeth can be surprisingly sharp, and your puppy is likely to chew on anything to ease the soreness as his adult teeth come in. Make sure the crate material is safe to chew on and can also withstand a puppy’s incessant chewing. Can keep your puppy IN. If your puppy escapes the crate on his first try (or ever) you need a different crate. Is super-easy to clean. 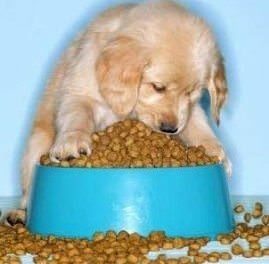 Your puppy won’t gain full mastery of his bowels until several more months have passed. Be sure to pick a puppy crate that is hygienic and easy to clean. Offers at least moderate visibility. Your puppy will be juggling lots of change all at the same time. A crate that permits him to see out and spot you will be more soothing than one with solid walls. 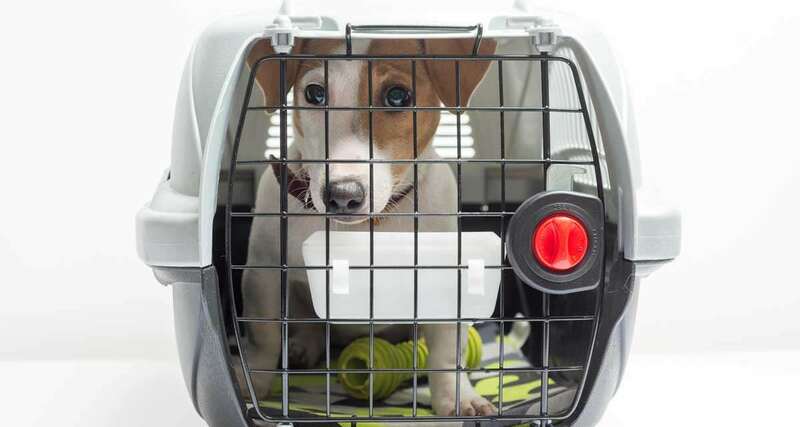 Choosing quality is key in a crate for a dog with separation anxiety. One of the issues and separation anxiety in puppies is that sort of stress. The stress of “I know I can get out of this, but right now I am not able.” They don’t have the ability to use deductive reasoning. There are all kinds of puppy cages available for crate training today. However, the wire crate is still considered a gold standard for many puppy and dog owners. One thing all puppy owners worry about is the possibility their new pup may injure herself in crate escape attempts. No one likes to think of a puppy, home alone and hurting after scratching herself on the rough edge of a crate bar. 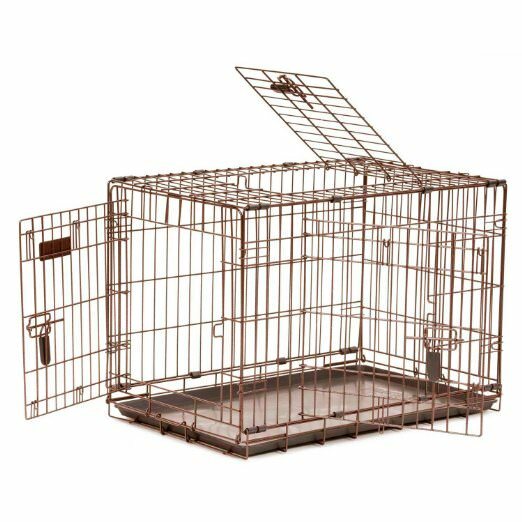 The Precision Pet Great Crate Elite comes with smooth, rounded wire edges that are coated with a rust proof finish. It has three doors (top, side, front) and a secure lock mechanism on each door. The floor is no-skid and the bottom has a removable easy-to-clean plastic pan. The kennel itself comes in 5 sizes, each of which has a divider included. This economically priced kennel will keep your puppy inside and safe while you are otherwise occupied or out of the house. If you read articles often, you know that most of us here at Animal Hub have at least one crate from Midwest Pet Products. We are dog lovers and there’s a reason why so many of us own their crates: quality. They are consistent to their brand and guarantee satisfaction. a plastic crate might be the perfect one for you. Plastic puppy crates have much to recommend them in terms of offering a secure, quiet, dark, draft-free space. Plus, they have something no wire crate can boast – many are IATA compliant so you can use them to travel with your puppy on an airplane. For some puppies and their owners, a plastic kennel just works better. There is something very secure-feeling about having solid walls with some visibility as opposed to all-wire construction. The wire front gate provides greater visibility while the plastic walls offer a darker, den-like and warmer draft-free environment. We do our fair share of traveling, and several of us here have used Petmate’s airline kennels for travel. 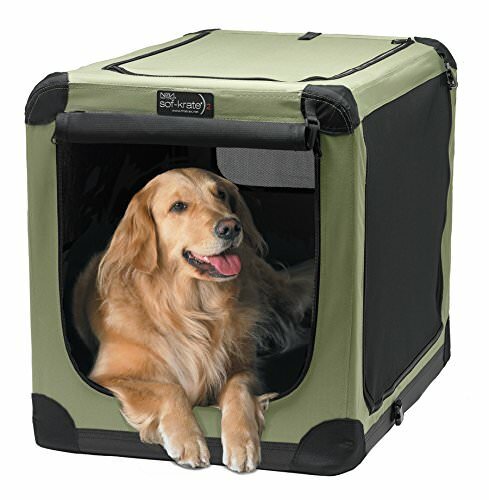 Even if you are just using it in your home and never plan to put it on an airline, this kennel is a good bet. The kennel can actually come apart, making it easy to clean. For puppies with anxiety issues, it is possible to start the crate training by having your puppy sit just in the bottom half of the crate until she feels comfortable. Then you can add the top, and lastly, the door. This type of puppy crate training in stages is one of the kindest methods of crate training for an already anxious pup. The Petmate plastic kennel comes in 5 sizes for dogs up to 40 lbs. If you want to buy the adult size, you can use a shoebox or bunched-up blankets as a divider for your puppy. The crate itself is economical enough to make either option affordable in most cases. is a good sign of durability. used with some special considerations in mind. 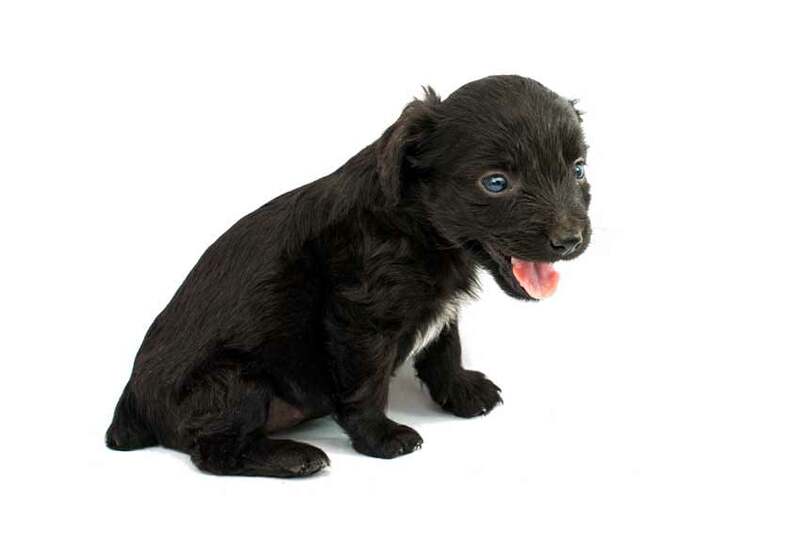 Because a puppy’s elimination system is still growing and forming up until 12 months of age, it is never good to assume your puppy can hold her pee or poop for longer than 3 hours at a time. For this reason, if you do have your eye on a soft side puppy crate, you may want to limit its use to vet and groomer visits and as a shady park retreat for outings until she is old enough to be fully potty trained. Even the most hygienic soft side crates often require a full wipe-down or machine-wash cleaning after accidents. This can cause issues unless you have a spare crate on hand while the primary crate gets cleaned. or going to a friend’s house. Way better than leaving your puppy at home. Re-read their brand name. It’s cute! 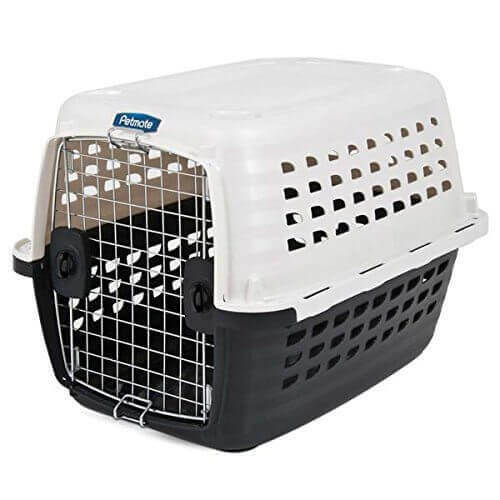 This attractive soft side crate comes in 5 sizes and is a favorite among dog owners. The setup and teardown is a breeze and requires no tools. The non-toxic fabric and mesh is tight-weave and durable. The rounded corners of the steel frame ensure pet and furniture/car safety. This crate offers great ventilation for days at the park, but it is tightly woven enough to keep the bugs out. To minimize drafts you can secure the side panels with Velcro. 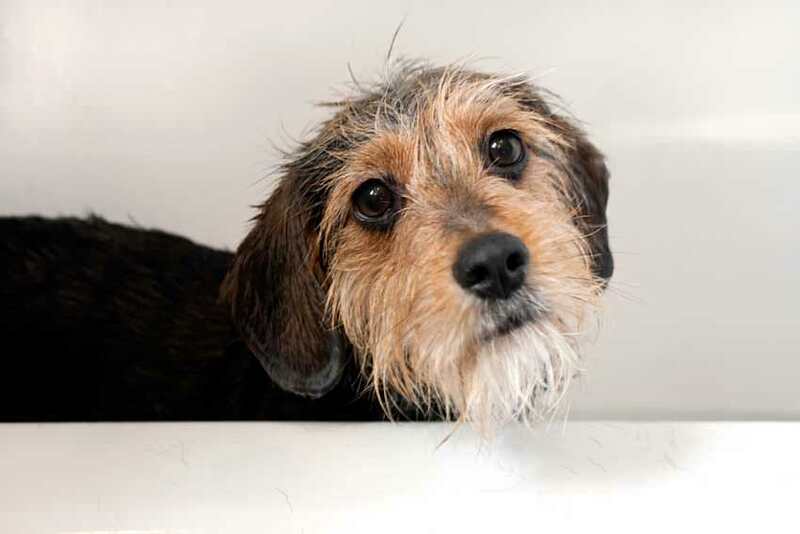 The base is also water-resistant to keep your puppy’s paws dry in damp weather. We also really like the sizing chart that comes with this multi-use puppy crate. When you first begin crate training, your puppy is likely to be anxious for all kinds of reasons – anxious about all the rapid changes in her living situation, anxious to please, anxious about needing to potty, anxious just because. Precisely because crate training for a puppy is also potty training, it becomes extra-important to set the stage for anxiety-free training sessions. Here are some anxiety-easing tips for nervous pups as you embark on puppy crate training. safe space just for her – a welcome part of her home life with you. 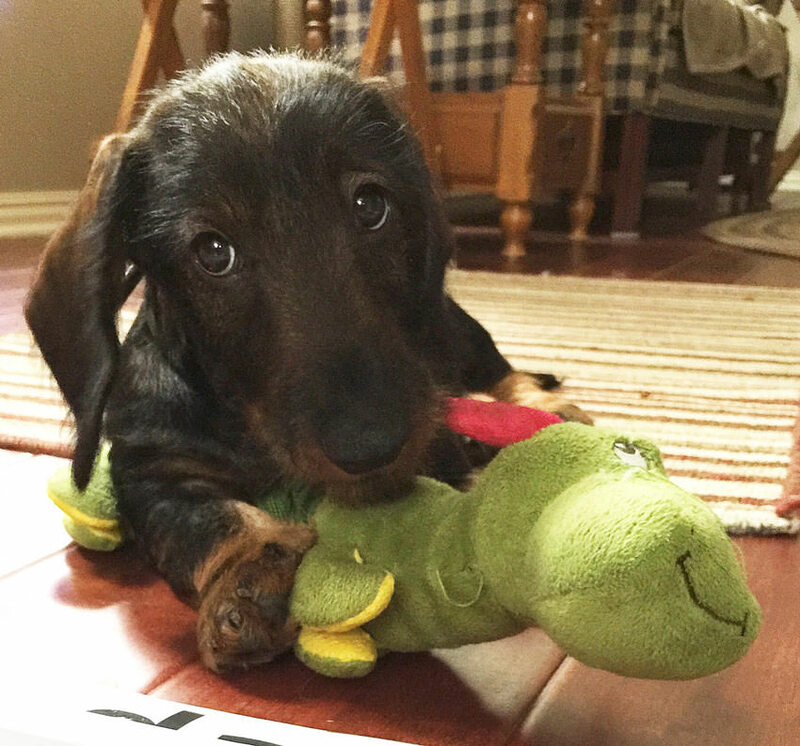 Your puppy might be having some separation anxiety problems already, which is why you’re here. Like we talked about earlier, these are generally deeper than surface issues. However, it is never too late to go back to the beginning. 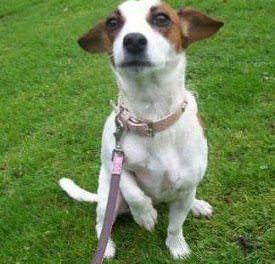 You can typically improve your dog’s separation anxiety by going straight back to the basics and starting from the top. 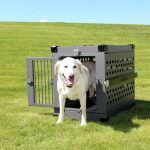 It will help a ton if your dog begins to see the crate as a rewarding, safe place. Just like someone who has anxiety might feel more at ease when they arrive home, your dog can feel the same relief from separation anxiety because of his crate. By taking steps to make the crate and surrounding area – and your own presence – as free from anxiety as possible, your puppy will have a much better chance of mastering crate training. Decide on a command – “go in your crate” or “den time” are some options. You can try a few and see which ones your puppy seems to respond to best. Have everyone in the house use the same command. Make sure your puppy has gone out to do his business first. Place the item that smells like you along with a few bits of kibble inside the crate. Say the new command. Repeat it in a soft and encouraging tone. Then just sit near the crate with your puppy and wait. If your puppy moves nearer the crate, speak encouragingly to him in soft tones. You can also pick up your puppy and gently place him into the crate while leaving the door open and sitting nearby. Offer some pats and praise and some kibble to your puppy while he is inside the crate. Repeat this, using the new command throughout, so your puppy begins to associate the command with the kennel. Be sure to annunciate your words. looks a little too small for him. Step 2: Begin closing the crate door. Once your puppy appears comfortable sitting in the crate with the door open and you present, you can begin VERY short segments of closed-door crate training. Keep using the crate command to continue reinforcing its association with crate time. Using repetition is key to your puppy’s learning. Close the door for just a few seconds the first time. If your puppy whines, wait until he stops whining (or wait at least 5 minutes) before you open the door again. You can also tap on the crate and say a firm but not loud “No!” if he whines. Keep increasing the time your puppy can sit inside the crate with the door closed, giving treats and pats and praises for every attempt. Step 3: Train your puppy to go into the crate on his own. Step 3: Train your puppy to go into the crate. There will be times you will need to give a command to send your puppy into his crate (for instance, if you have to leave or if you are having guests over). You can begin in any number of ways. One way that often works is to tempt your puppy with treats. You can place a bowl inside with some kibble as a way to entice your puppy to go inside. Then say the crate command and wait for your puppy to go inside the crate. If there is no movement towards the crate, you can pick your puppy up while saying the crate command and place him inside the crate. At first, always stay within line-of-sight with your puppy when he is in the crate (whether the door is open or closed). Keep practicing the command so your puppy understands what you need him to do, and reward him when he hears the command and goes inside the crate. Step 4: Begin lengthening the amount of time your puppy is in the crate. Step 4: Start leaving your puppy in the crate for longer time periods. If your puppy is younger than 6 months old, you should never leave him inside the crate for more than 3 hours (which is about how long he can hold his bladder). Puppies 6 months or older may be able to stay inside for 4 or more hours, but talk with your vet and use your own best judgment based on what you observe. NEVER leave your puppy alone and locked in his crate for more than a few hours at first!! This can cause accidents, which can cause crate trauma, which can set your puppy up for more severe separation anxiety later on. It is always a good idea to give your puppy something to do if he will be in his crate for any period of time. Chew toys or treat-filled puzzle toys are GREAT for this! Your puppy may master crate training in just a few days, or it may take a few weeks. 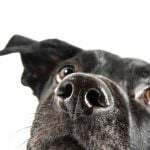 The reasons for this will have to do with your puppy’s prior experiences, his age, his own temperament (passive, compliant, aggressive, dominant, et al), and your approach to crate training. Step 5: Start using your puppy’s crate regularly. Once your puppy appears familiar and comfortable with the crate – going in, coming out, staying in with the door closed, napping in the crate – you can begin using it as part of your regular routine. This will help to reinforce the crate command and also keep your puppy safe (and your furniture safe) while you are out of the house. You can also use the puppy crate productively for training-related time-outs, so long as they are done immediately following the incident and they don’t last longer than 3 minutes (any longer and your puppy will forget all about the incident that prompted the time-out and begin to see crate time itself as a bad thing). If your puppy exhibits anxiety about sleeping alone in his crate (you will know by the whining and barking), you can try moving it into your bedroom at first until he gets used to sleeping without his mama and siblings. Your puppy should be able to stay in his crate all night for sleeping, but will likely need a potty break at least once during every 8 hours. So regardless of where he sleeps, make sure you are available to take him out when he needs to go. You should be well on your way to radically reducing your dog’s separation anxiety if you followed these steps. Crate training an anxious puppy is a task that absolutely can be accomplished. It just requires patience, perseverance and lots of love on your part, as well as the right training tools and commands to help your puppy learn how to use his new crate. And just to say one more time, be patient. Like we talk about in one of our general dog training articles, you should immediately stop training if you feel like you’re getting frustrated. Remember, with time and repetition, your training goals with your dog can absolutely be achieved. 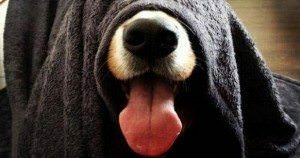 Hiding Tips for Hide and Seek with your Dog!